The apocalypse has arrived. 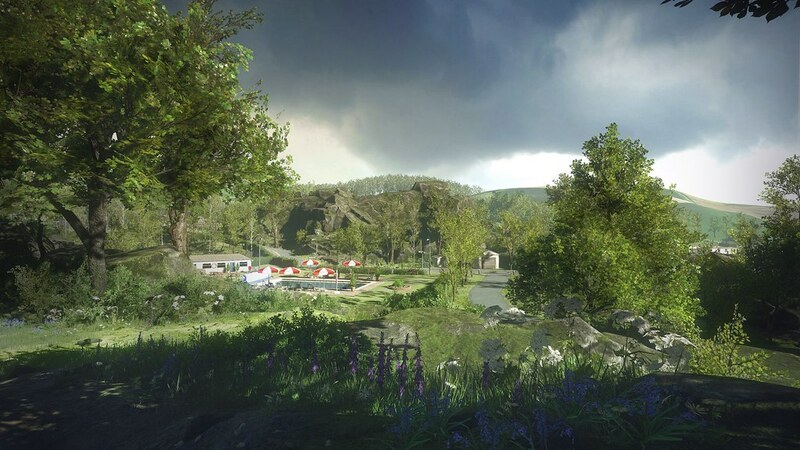 After two and a half years, Everybody’s Gone to the Rapture is out in just about a week, and to celebrate, we want to share the launch trailer for the game with you. We recently announced the cast list for the game — an amazing group of some of the best TV, film, and radio actors working in games in the UK. We’re delighted that the list is headed up by the fantastic Merle Dandridge, best known for her role as Alyx Vance in Half Life 2 and Marlene in The Last of Us. You might recognise her from the trailer, where she plays Dr. Katherine Collins, the brilliant astrophysicist at the heart of Everybody’s Gone to the Rapture’s mystery. If the trailer isn’t enough, and you can’t wait a week to get more of the game, then head over to the official site. For the last few weeks, we’ve been uploading exclusive content over there — radio interviews with Kate and her research assistant and husband, Dr. Stephen Appleton; excerpts from journals and textbooks; emergency leaflets to help orientate you to the apocalypse. 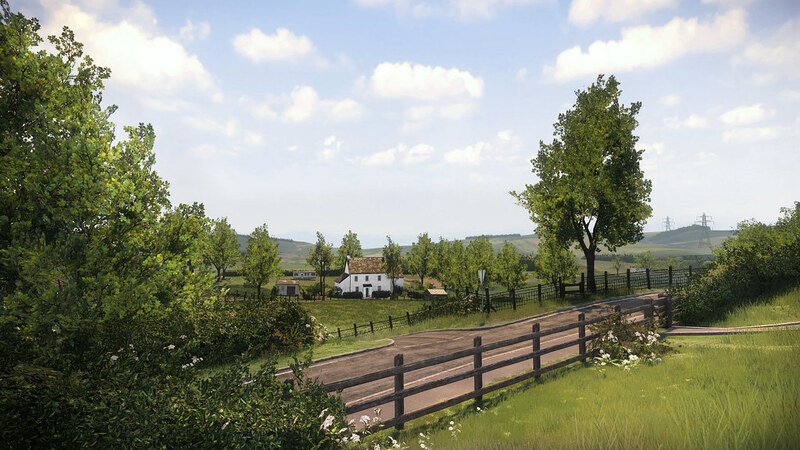 There’s interviews with the team, more information about the production, and a series of secret codes to unravel — all of which will help you understand the mystery of Yaughton Valley just that little bit more. Finally, we know that lots of you outside the US have been checking out the awesome dynamic theme that’s been available on the US store. We’re happy to let you know that PS+ customers across the world will also be able to grab this when they purchase the game. We’re hugely excited about the game coming out — really hope you all love playing it as much as we’ve enjoyed making it. It’s been an incredible couple of years and we’re very proud of the result. Keep on checking the game’s website and expect a couple more very cool exclusive features to hit between now and the end of the world. And remember — an emergency may occur at any time, without any warning, so be prepared. Keep your radios and televisions on at all times! Hey guys can you say yet whether we can purchase the Dynamic Theme on its own yet? Does the game have a Platinum Trophy? I’m excited. Absolutely Love games like this! BEYOND! I think i’d been resisting looking at anything related to this game because i knew i would want it. I don’t want it. i NEED it. It looks really amazing, and i’m excited to get to play it soon. I’m definitely sold on the look and the vibe, but why is that trailer video age-gated? I don’t understand which part of it could be inappropriate for anyone. I’ve said similar in the previous Rapture posts, but felt it bears repeating again here: this game looks more and more wonderful each time we look at it, and I’m glad we live in a time where games that take a very different approach to experience can coexist with the more typical shooting, racing etc. games. I loved Dear Esther, and it seems like this game is every bit as compelling (and actually much more so) than that one was. The setting, the music, the mood, all seem to work together to create this feeling of simultaneous dread and levity. Thank you for making this game, and thank you for bringing it to PlayStation! I heard the people died of boredom… Is that true? excited for this! Really interested in getting every little bit of story out of the game. The PlayStation Underground demonstration was pretty neat. Out of sheer curiosity, is this an episodic game? I will get it either way. I’m just wondering. Thanks for reading.